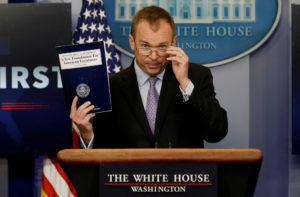 WASHINGTON — The White House says it’s willing to strike a health care provision from Senate legislation to cut taxes and overhaul the tax code if the provision becomes an impediment to passing one of President Donald Trump’s top legislative priorities. The provision would repeal a requirement that everyone in the U.S. have health insurance or pay a fine, but it has emerged as a major sticking point for Republican Sen. Susan Collins of Maine, whose vote the White House needs. Collins said Sunday that the issue should be dealt with separately. Striking the provision would blow a big hole in the senators’ tax plan, leaving them $338 billion short of their revenue goal over the next 10 years.